While in Japan, you might have heard the following melodies: “Haruno-Umi” over the New Year holidays, or “Sakura sakura” at the start of spring. Sakura Sakura was even incorporated in Puccini’s Madame Butterfly; it is a very iconic piece. Both are very famous pieces played by the Japanese national instrument, the Koto. The koto is a musical instrument originally brought over from ancient China and continued to evolve in Japanese culture. 13 strings are placed over a movable “pillar” to regulate pitch. 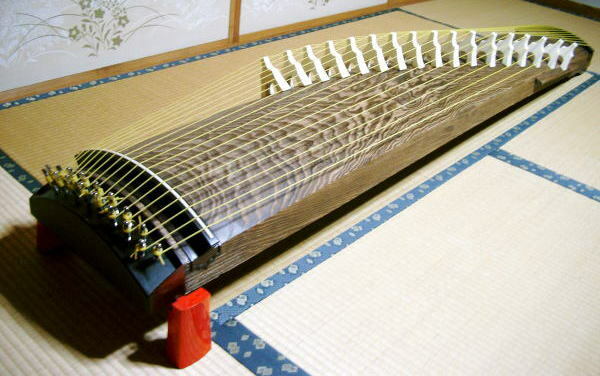 The koto was originally invented in the shape of a dragon, which, at the time was worshiped as a noble creature. The right side of the instrument represents the dragon’s head, while the left side is called the dragon’s tail. It was a high-quality musical instrument which a noble woman enjoyed. The Chinese character for Koto is frequently used in the names of sumo wrestlers. It is the evidence that is the tradition musical instrument which rooted in Japan. The performance method of the koto adds “a nail” to the finger of the right hand and I push the string with the left hand and add an expression to a tone. “The nail” is a role of “the pick” saying with a guitar. 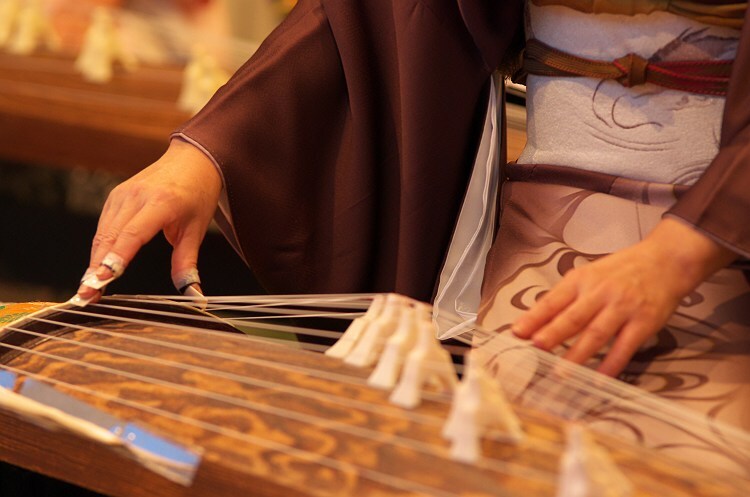 The beauty that the tone of “the koto” is equal to the accompaniment musical instruments such as a piano or the harp. I am called “a silk tone” and am unique emotion in Japan and the superior musical instrument which can express delicacy. 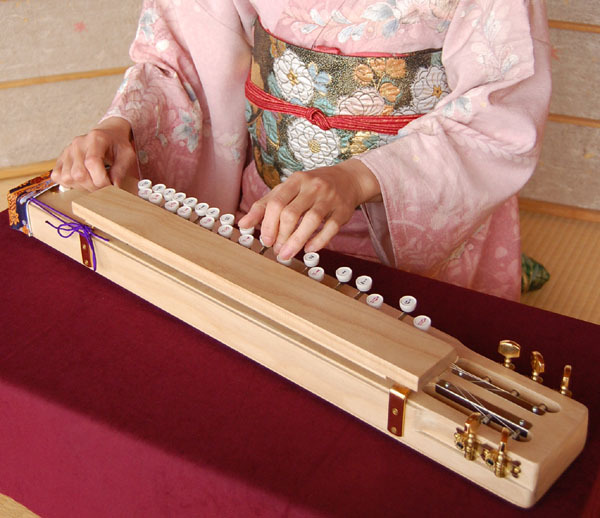 I flip “Taisho-Koto” invented in the Taisho era with the right fingernail while holding the string with a keyboard. It is a type to perform an individual performance method in a koto. This koto got a hint from a typewriter and was invented. In the present age, a professional player plays the music of various genres. In the collaboration with other musical instruments, there are many fans from the foreign countries, too. The people “to want to learn a koto!” increase! I take in “the koto” for a class in the Japanese school. It is the tradition musical instrument which it is easy to be relatively familiar with.